With expansive windows revealing 360-degree views the bay and city, Pearl and her husband felt their new apartment wasn’t as stylish as its setting. The couple travel extensively for work so needed to make the most of their limited time at home. 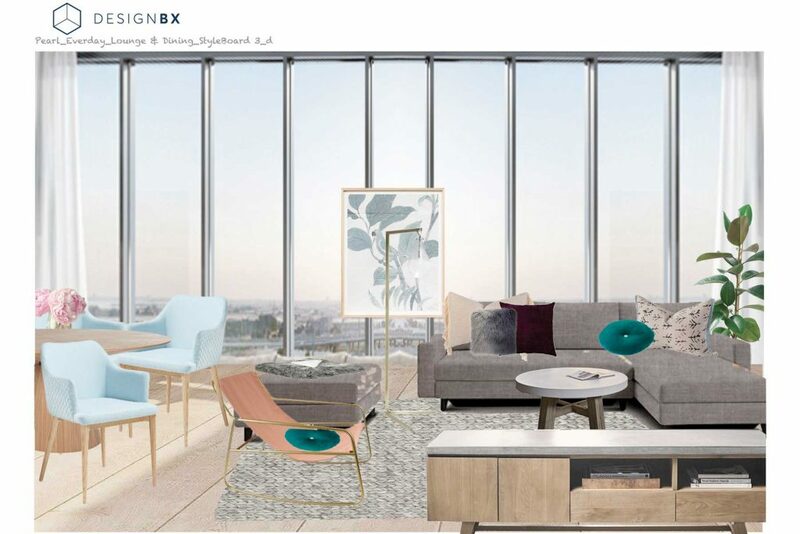 They wanted to add design flair based on their love of Scandi and Luxe styles, but also make the space relaxing. 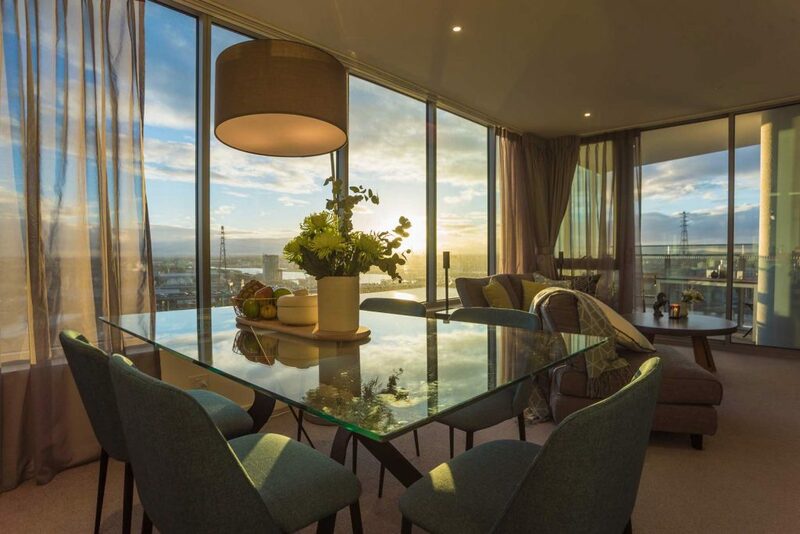 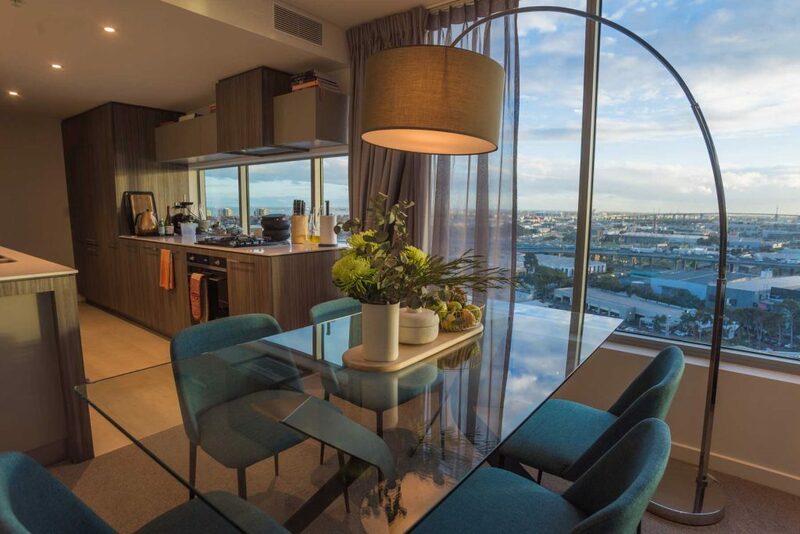 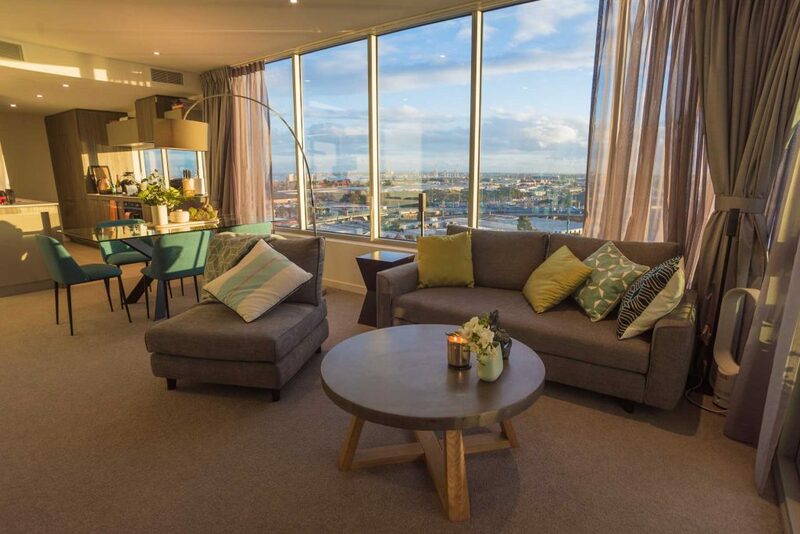 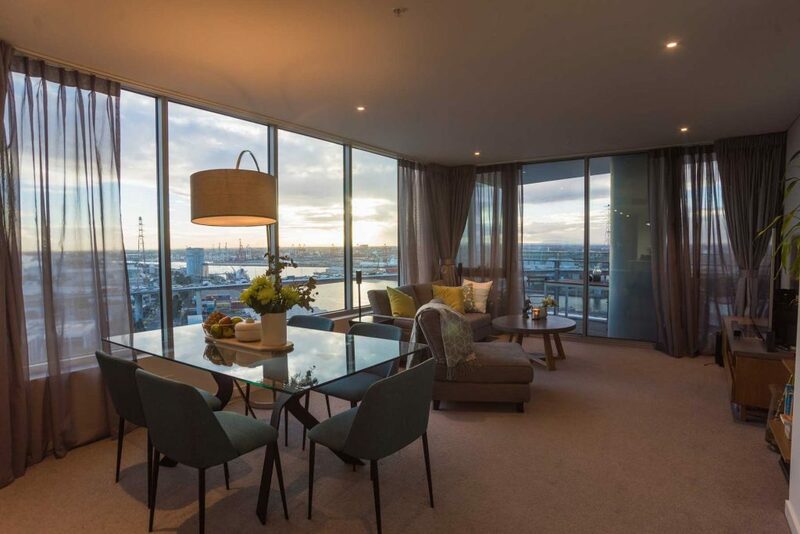 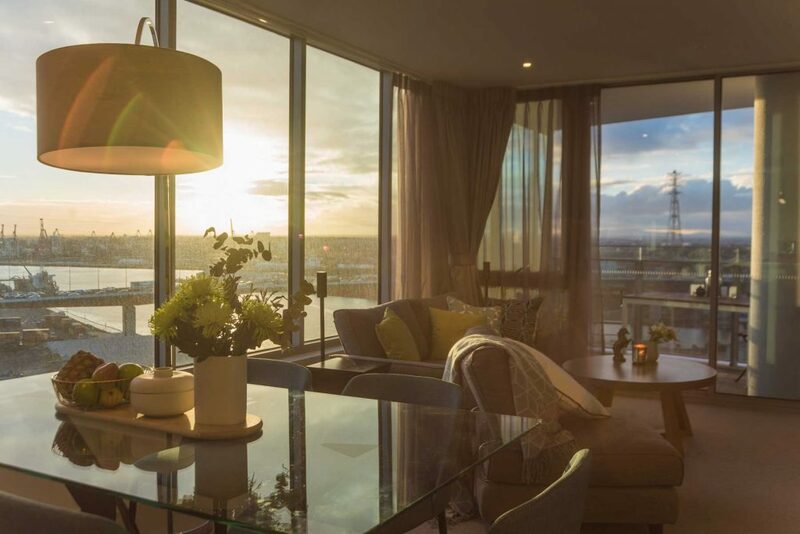 Our designer Kylie introduced warm, soft colours and Scandi style furniture that complimented the modern surrounds – a beautiful location to enjoy a glass of wine while watching the Melbourne city skyline.